Because our species evolved in stressful environments, the drive to grapple with scarcity is deeply embedded in our psychology. Severe and chronic shortages can of course wear people down. But just as the development of a sound immune system requires exposure to lots of microbes, sound mental health seems to require the challenges presented by moderate amounts of privation. An old cartoon by Gahan Wilson captures the idea. Two middle-aged angels, newly arrived in heaven, are playing harps while perched on a cloud. One, his face a mask of dismay, asks the other, "You mean this goes on forever?" No mortal is completely insulated from scarcity, to be sure. But certain people amass material wealth on such a grand scale as to render scarcity nearly meaningless, at least in the short run. No doubt some of them are driven insane by boredom. Yet most of the superrich seem to maintain their mental balance well enough. In A Grand Complication, Stacy Perman points to one secret of their success: they become collectors. If your aim is to own the finest specimens in a category pursued by other wealthy collectors, insufficient scarcity will never be your problem. Perman recounts the early-20th-century battle between two titans determined to own the world's most exquisitely complicated mechanical timepiece. In one corner stood James Ward Packard, the son of a prosperous Ohio industrialist and himself a brilliant engineer who went on to found the Packard Motor Car Company. His rival was Henry Graves Jr., who had inherited an immense fortune from his father, a Wall Street financier. Packard's interest in fine timepieces sprang from a lifelong fascination with all things mechanical. "As a boy, Ward tinkered with every clock in the family home, studying each intricate part until he understood how they worked together," Perman writes. 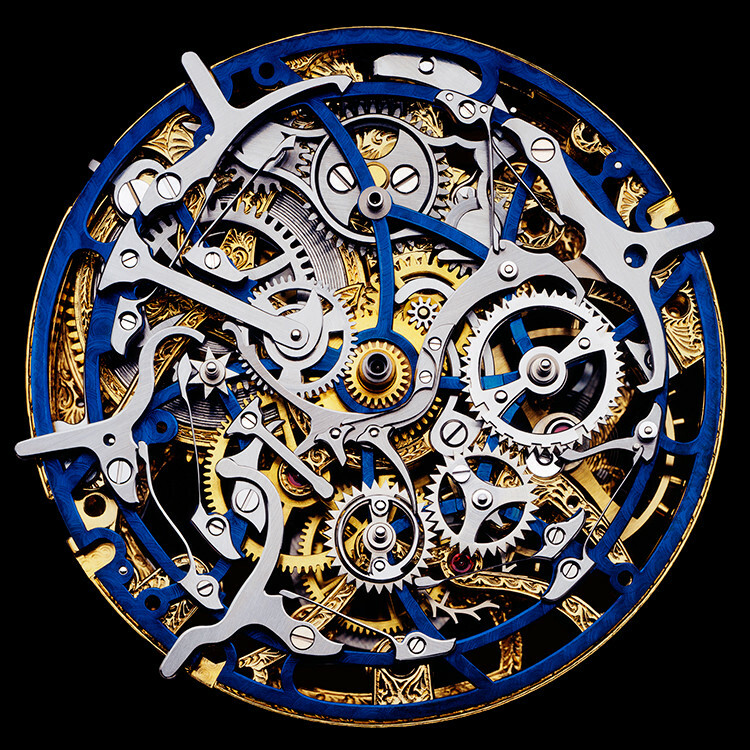 "Reassembling them, he often improved their operation, a habit he did not abandon as an adult. . . . For an engineer dedicated to technical perfection, horology offered the ideal preoccupation." Graves, by contrast, knew little about technology. But he had almost unlimited financial resources, and in the process of assembling a large collection of fine European art, he developed a keen ability to interpret market signals about quality. He valued technical wizardry not for its own sake, but because he understood that no timepiece that lacked it could be ranked among the world's best. As Packard's collection matured, his attention turned to watches that had ever more elaborate and complex features, like perpetual calendars and celestial maps. Some included a tourbillon, a tiny contraption that slowly rotates the main mechanism, thus reducing the distorting effects of gravity. His was an appetite not easily satisfied: “The more watches he commissioned, the more obsessed he became." The capstone of his collection was a grande complication, known simply as "the Packard," by the Swiss watchmaker Patek Philippe. It was crafted over a five-year period to his detailed specifications and delivered to him in 1927. Although most readers may find themselves rooting for the entrepreneurial Packard in this contest, the Graves Supercomplication proved the winning salvo. Commissioned in 1925, the watch was turned over to Graves on Jan. 19, 1933, almost five years after Packard had succumbed to his long bout with cancer. It's a story artfully told and illustrated with rich historical detail. Perman is especially astute when surveying the battle for scarce slots atop the social hierarchy. Describing a late-19th-century Manhattan art auction, for example, she writes: "The Knickerbocker crowd clung to their remaining old associations, which kept the growing ranks of the arrivistes, with their bourgeois respectability, at a safe distance, but death and taxes necessitated a civilized process by which to dispose of valued possessions. Such high-market auctions brought the two parties together, narrowing the social chasm between them under a tent of money and desire." In recent years, several of the Graves and Packard trophy timepieces have come under the hammer at Sotheby's, Christie's and other premier auction houses. The book superbly captures the tension surrounding the frenzied bidding at these events. An anonymous collector paid more than $11 million for the Graves Supercomplication in 1999. That may seem steep for a watch that, tourbillon and all, is less accurate than a $20 quartz Timex. But accuracy isn't what today's bidders - mostly petro-sheiks and newly minted billionaires from Russia and China - are seeking. Like Henry Graves Jr., they just want to own the best in category. The costly outlays spawned by the Graves-Packard rivalry might look like standard examples of the conspicuous consumption that always blossoms during periods of rapidly rising income inequality. As Thorstein Veblen wrote in The Theory of the Leisure Class: "In order to gain and to hold the esteem of men it is not sufficient merely to possess wealth or power. The wealth or power must be put in evidence." Yet public display had essentially nothing to do with this particular rivalry. "Ward was never ostentatious about his timepieces," Perman writes. "For him the joy was in the challenge, to push horology beyond its current boundaries." Graves, for his part, was a shy man who was loath to put his personal possessions on exhibit. Until his extensive art collection was auctioned off after his death in 1953, few had even known of its existence. Social critics often denounce the bidding wars for rare collectibles as wasteful. But when an anonymous tycoon pays another anonymous tycoon more than $11 million for a trophy watch, the watch changes hands and the money simply moves from one account to another. The only resources expended are the relatively modest cost of administering the auction itself. Frivolous or not, these transactions seem poor targets for social outrage. In fact, Perman says, the Graves-Packard rivalry actually produced some important social benefits. 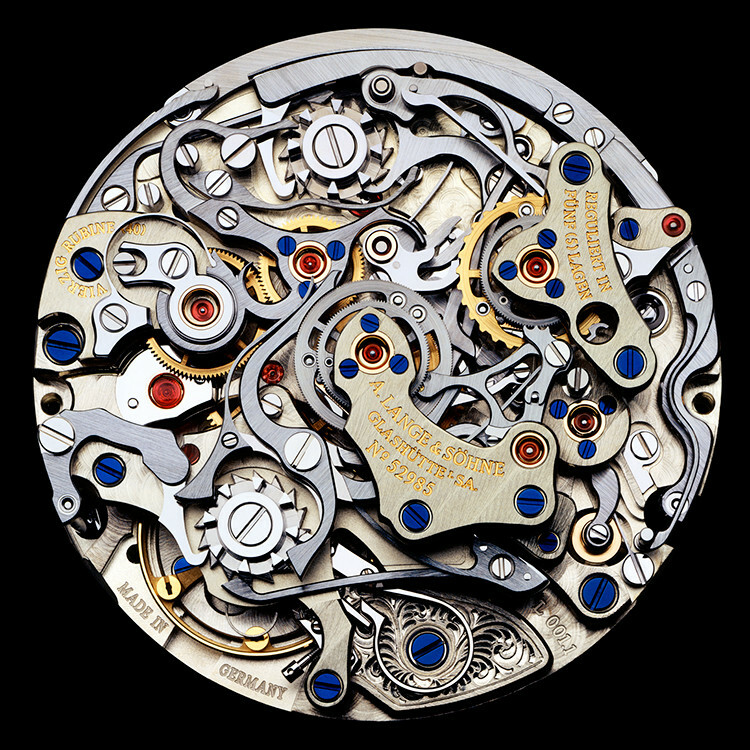 "Until the mid-19th century, the most talented mechanical engineers were watchmakers. A marriage of artistry and technology, a grande complication provided more than just a timekeeper: it represented a masterpiece of mechanical engineering." Packard's numerous electrical and automotive patents, many of them stimulated by his obsession with timekeeping, were implemented across many industries.